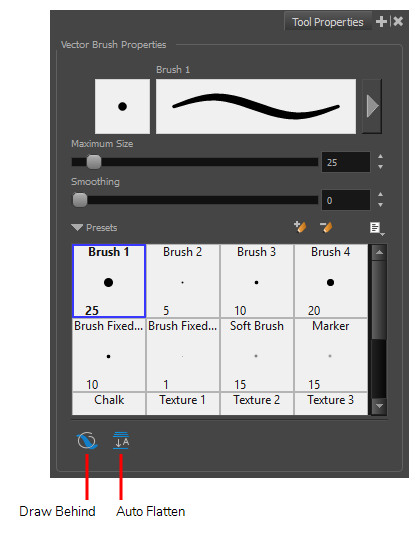 By default each brush stroke you draw is stored as a separate drawing object that can be manipulated individually. 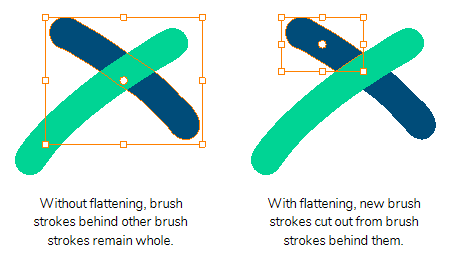 With the Auto Flatten option enabled, all overlapping brush strokes will be merged together into a single drawing object. This will make your artwork lighter in both file size and processing time, but may limit your ability to tweak and modify your artwork.